After a lot of though I’ve decided my what my game of the year 2012 was. I played a lot of amazing games last year but there is still one that pops into my head from time to time that I’d love to play through again. For anyone that’s interested 2011’s game of the year was the amazing Wii exclusive Xenoblade Chronicles, for the same reason. I think for me last year Catherine really stole the show. It was so different from anything else that came out last year or for the past few years actually. When someone hasn’t heard of the game telling them its half dating sim, half survival horror puzzle game and its enough for them to be interested in hearing more. And the fact that the story revolved around something most people could relate to, was good enough to get you hooked. Yes the main character Vincent was a complete moron, I mean I’ve never meet a guy as pathetic had him that’s even been able to go near a woman never mind get a girlfriend. 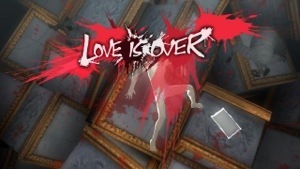 But it did feel like games are “growing up” tackling the story of a struggling couple in a rut, as apposed to a couple just starting out and the game ends all happily ever after with their first kiss. Gameplay wise it’s over the top fun. I mean block puzzle games are always fun, there is just something hilarious about putting in a human character to move the blocks about. Add a bunch of bipedal killer sheep, trap block to keep things fresh and some absolutely bizarre bosses and you have yourself a good time. The bosses Vincent face are all nightmares, based on his worst fears at the time. Personal highlights are the Immoral Beast (a jumbled collection of body parts) and Child with Chainsaw (self explanatory). No I’m not about to pretend that it’s a prefect game, it has its flaws. For being such a story focused game most of the characters are pretty 2 dimensional, although they’ll have one or two redeeming qualities. And there was a very strange choice to reverse the controls whenever the player moves Vincent behind the wall of blocks. Still I loved the game from start to finish, it’s not many games I get the urge to play right away after finishing, and I can’t wait to play it again…if only it wasn’t for the back catalogue I have to play thought. 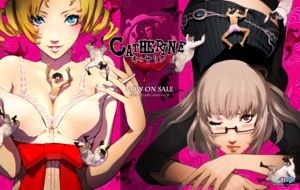 So Catherine was my number one game of last year, I worked out a top 10, not in any particular order though, I’ll try to talk about them at some point.